Silver Lake is using Smore newsletters to spread the word online. Silver Lake Elementary THE place to be! *Vowel Controlled R with /ar/ (Bossy R)- R controls the sound of a vowel in front of it when it comes before any consonant. *Vowel Controlled R with /or/ (Bossy R)- R controls the sound of a vowel in front of it when it comes before any consonant. As we near the end of the year, we are planning a variety of fun activities. One includes incorporating a camping theme into our curriculum. We will celebrate "Camp Day" on Wednesday, May 13th in our classrooms. We are asking each student to bring the following items on Camp Day if you have them. Wear clothing related to camping (vest camping hat, camouflage, camping boots, etc. We will be making some fun camping crafts and snacks during this unit and may be asking you to donate items for these activities. We will also be walking to the Vineyard Campgrounds to take a tour so please be on the lookout for a permission slip for students. 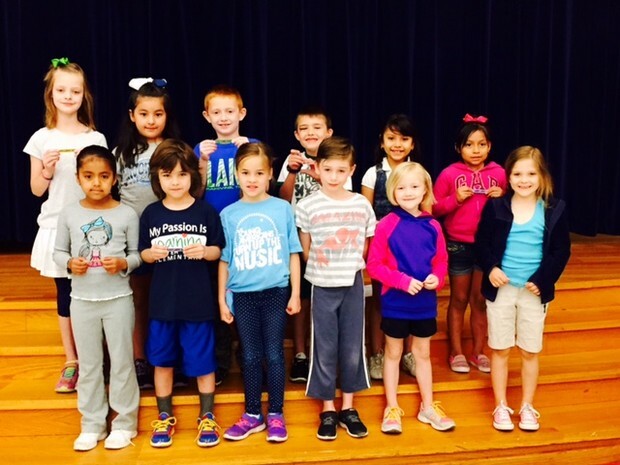 Tuesday, June 2nd will be our First Grade Awards Ceremony. It will begin after the morning announcements at 8:00 AM and will be held in our classrooms. You are welcome to come see your child share his/her favorite award from the year.